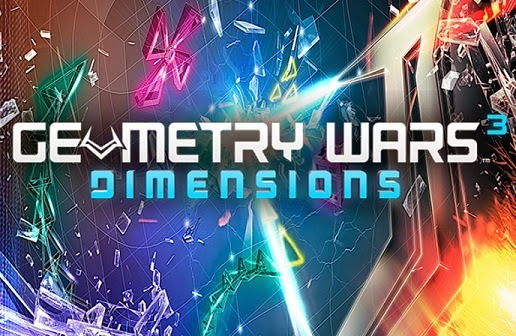 Geometry Wars 3 Dimensions is the continuation of one of the fun arcade shooter video games for Windows, Mac and Linux. With over 50 levels, very competitive multiplayer mode, stunning visuals and catchy soundtrack, the game turned out to be a must for fans of the genre. Check out the tutorial on how to play the Geometry Wars 3 Dimensions. The game menu has some game options like Classic Mode and Adventure. The first can be played as single player, and has several types of game, like trying the most points in less time, or the most points in three lives. The game will then always keep your best scores. This will serve as the basis for a healthy competition with your friends. The Adventure mode should be played with a rival, where there will be a series of stages for each achieve the highest score possible. Online mode allows you to create a game for players from other corners can have fun with you. There is also the possibility of creating a private room so that only your friends can join. Local Co-Op, the player can then go into a game with up to three friends and play in co-op mode. In Options, the player can modify the audio and video options, as well as having access to game commands in Input. To exit the game, just go Quit Game. A crucial clue in the game is never sit still for long. Even if you try to put in the center of the map, you can easily go wrong when an enemy approaches. The idea then is to always be moving and shooting in the direction you are heading, and then clear the path of enemies. Of course you can stop for a moment, if the enemies are at a distance, but try to do it away from the corners of the map. There are two reasons for this. First, is that there are certain enemies will approach you with ease, taking out any possibility of escape. Second is that opponents will randomly appear for the stage, and this may occur right beside you. A new element introduced in the game is the presence of heads. You will fight them after completing all phases of a party, and will have to beat them through four different waves, each stronger than the other. There are some tactics to achieve beat the boss. First, it will drop smaller enemies behind you, then focus on just get them. Then, after winning a certain wave of enemies, the head will explode and prepare for another group. Stay away from that explosion and prepared because each wave will be more difficult than the last. In Geometry Wars 3, competition with your friends is a key part. The idea is to always be improving your score and ranking. For this, the game has the leaderboard for each game mode, which is nothing more than a ranking where it will be saved your best scores. To access the leaderboard of each type of game just press the Q key before entering. This will take you to the table with your scores and your friends.